Wilco may be on a little break, but Jeff Tweedy has been keeping after it. Wilco may be on a little break, but Jeff Tweedy has been keeping after it. WARM is his first solo release of new, original material, since 2017’s Together At Last consisted primarily of acoustic takes on Wilco chestnuts. But solo doesn’t mean simple for Tweedy, since he has taken the troubadour’s guitar/vocal approach and twisted it to his suit the adventurousness he favors with his day-job band. Even when the songs are axe-driven, the wobbly slide or prickly lead parts Tweedy plays don’t allow for any rut to develop. And the sturdiness of the tunes and Tweedy’s knack for finding melodic rhythm beds keep things catchy. You’ll have a hard time not tapping your feet and nodding your head along with songs like “Some Birds” and “I Know What It’s Like,” regardless of the bluesy, opaque tendencies of the wordplay. 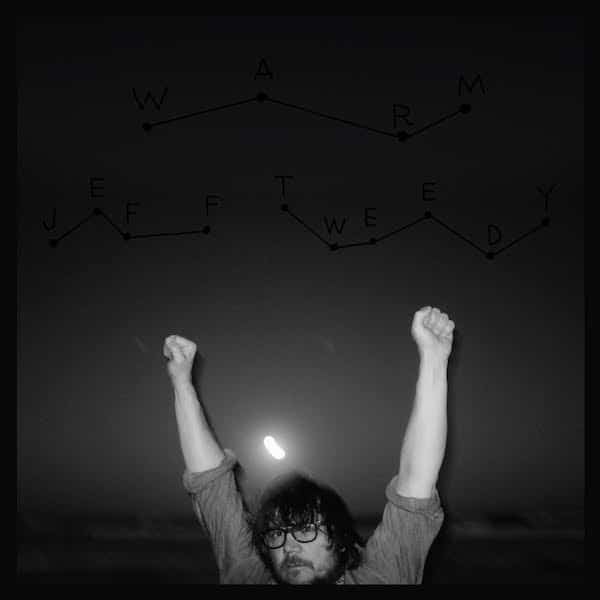 Tweedy rarely goes all-out experimental here; the closest he gets is “The Red Brick,” where the transcendental strumming becomes creepy when joined by some backwards instrumental effects and a white noise washout at the end. But he has a knack for adding just a little bit here and there alter a song’s mood, like when fluttering guitars and stirring synths uplift the ominous groove of “Having Been Is No Way To Be.” That has always been a big part of Tweedy’s M.O: making the beautiful sound strange and the strange sound beautiful. He shows the same kind of versatility in his lyrics. “Let’s Go Rain” is a cheeky country romp about wishing for a Biblical flood to do a hard reset on mankind. Just a song later, there is the ethereally pretty “From Far Away,” its cosmic musings seeming to come from a broken heart as vast as the universe. Tweedy might be missing his band members, but the restless, resonant spirit that drives Wilco’s best records seeps winningly into WARM just the same.